There’s a beauty in all the imperfections. 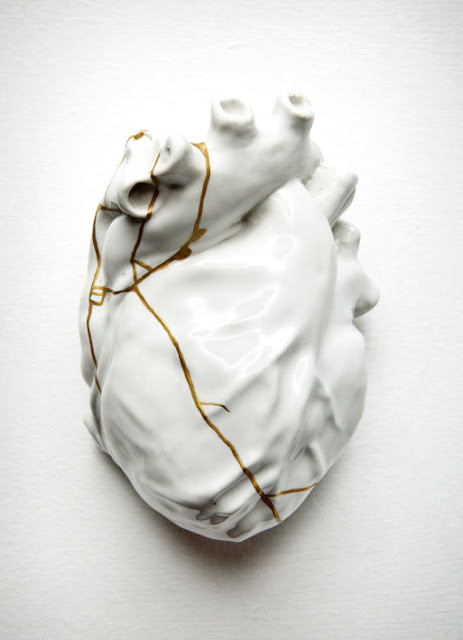 This is the reason I love the art of Kintsugi. 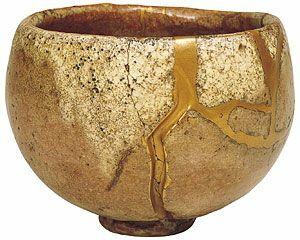 Kintsugi (Japanese: golden joinery) is the art of repairing broken pottery with lacquer dusted or mixed with gold, silver or platinum. 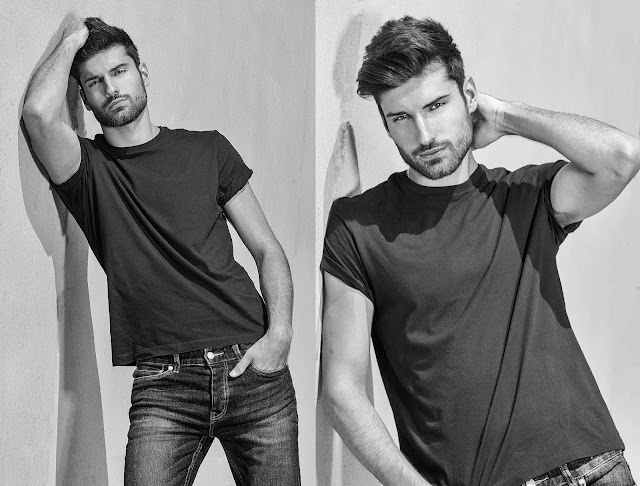 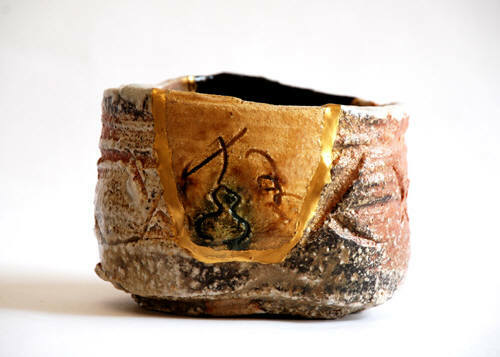 Its general concept is highlighting or emphasizing imperfections and celebrating the missing pieces. 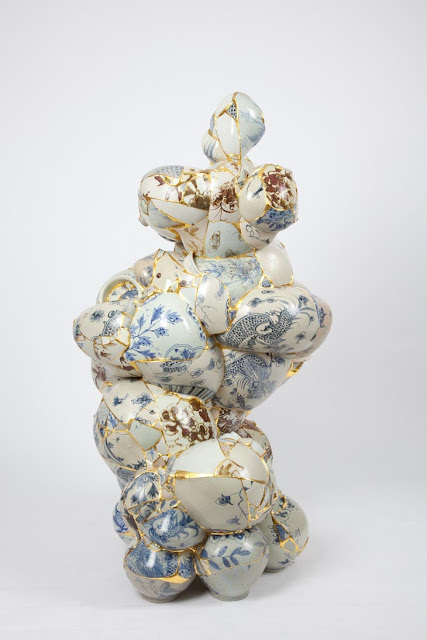 The philosophy of Kintsugi treats breakage and repair as part of the history of an object, rather than something to disguise. 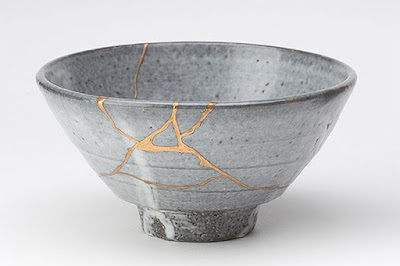 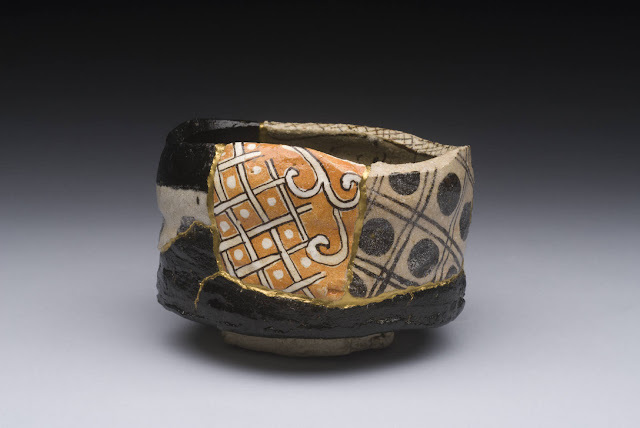 Kintsugi started during the in the late 15th century Japanese Shogun era. 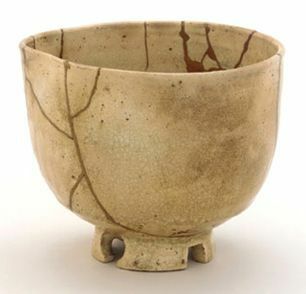 Shogun Ashikaga Yoshimasa sent his favourite damaged Chinese tea bowl back to China for repairs. 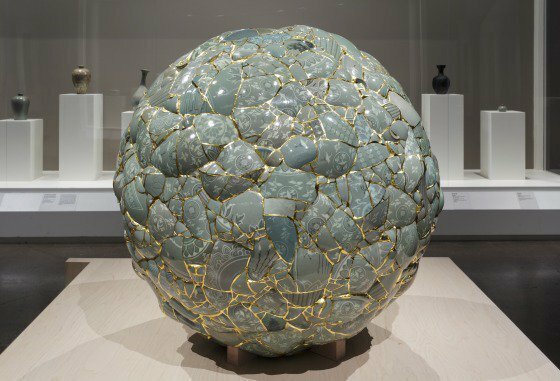 When it was returned, repaired with ugly metal staples, it may have prompted Japanese craftsmen to look for a more aesthetic means of repair. Kintsugi is a rebirth to the damaged or aging ceramic objects by celebrating their flaws and history. 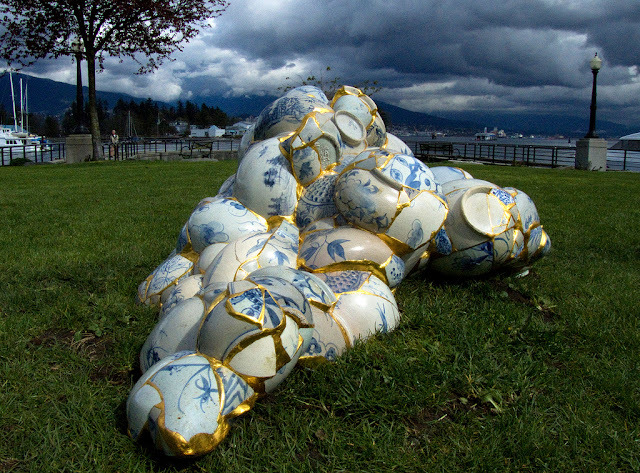 It finding value in the missing pieces, cracks, and chips. 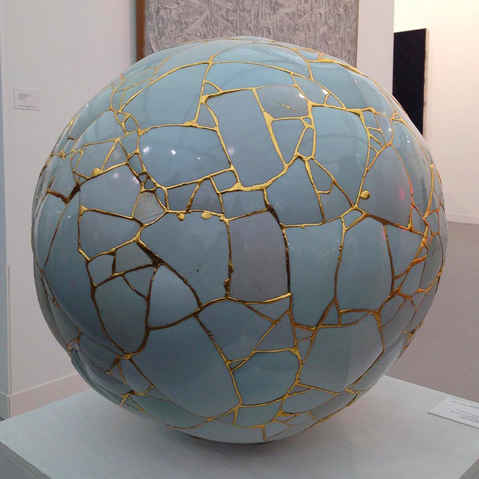 The method of using golden seams to rejoin shards draws the eye to what was once a point of flaws to now a source of beauty and strength.